Colorado tourism has enjoyed consistent growth since the recession in 2009, with domestic visitors increasing by 41 percent, or more than double the national growth rate of 20 percent. The state numbers parallel rosy reports touted by Denver officials last week, which found a record 31.7 million visitors to the Mile High City in 2017, marking the 12th consecutive year of growth. Denver gets about 20 percent of the visitors in the state but accounts for half of all in-state tourism spending. However, Colorado’s gains come at the expense of some of the country’s top-tier and longtime tourism hotspots, such as New York City and Las Vegas, according to research, as travelers increasingly turn toward the Rocky Mountain West and Colorado in particular. “We’re getting a significant number of travelers from New York, Miami, Atlanta and Washington, D.C., in addition to the traditional markets that we’ve traded in, like the Midwest, California and Texas,” Ritter said. 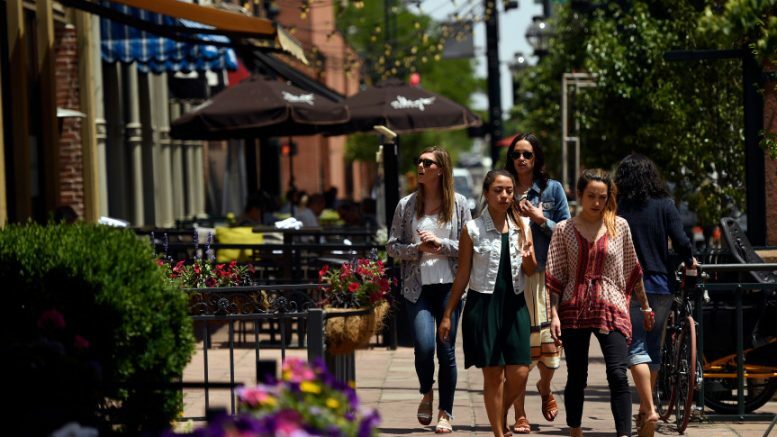 Unsurprisingly, statewide tourism growth is intertwined with the Front Range’s population boom. Residential and commercial-construction trends drive further investment, Ritter said, resulting in new hotels, condos and restaurants from Fort Collins to Colorado Springs. The state’s research, drawn from reports by Longwood International and Dean Runyan & Associates, also shows the effectiveness of the Colorado Tourism Office’s “Come to Life” marketing campaign, which targeted both national and international visitors. While several top-tier travel states lost market share last year, Colorado retained its record high 3.1 percent share of the coveted marketable-travelers segment, according to the studies. “That pays off for every single destination in our state,” Ritter said, noting that “funnels” such as the tourism website colorado.com reliably send visitors to other websites and destinations across the state — not simply along the Front Range or to well-known mountain towns. The Colorado Tourism Office has a lot to show for its relatively unchanged, year-over-year budget of $19.6 million — which will only increase by about $500,000 for the next fiscal year beginning July 1, despite the record-breaking gains in visitors. SMARInsights reported the state’s “Come to Life” campaign, which cost $8.14 million, generated a record-high return on investment of $546 for every $1 of paid media — up from $534 in the previous year. Legal, recreational cannabis did not provide a significant point of interest for tourists, Ritter said. Two-thirds of people surveyed by SMARI from 2013 to 2018 said it doesn’t affect their decision either way; 22 to 25 percent say it’s part of what interests them in traveling to Colorado; and roughly 11 percent say they are negatively influenced by its availability. “This is why I usually say that for most travelers, it’s a big ho-hum,” Ritter said. Pushing back against suggestions that record tourism is resulting in “loving Colorado to death” — a common complaint among natives — Ritter said visitors are not necessarily to blame for traffic woes or overcrowding at popular destinations. Rather, that’s the result of the state’s population boom and the infrastructure needed to address it. 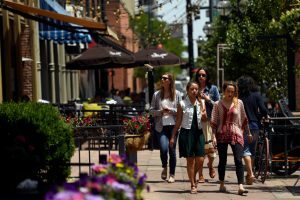 Be the first to comment on "Colorado’s record tourism growth hits new milestone: 86 million visitors, $1.28 billion in tax revenue"